46,3 x 32,7 cm - 18 3/16 x 12 13/16 in. 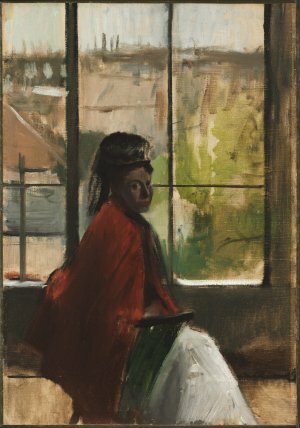 Atelier Degas – Mlle Dihau, Paris – Durand-Ruel & Co., Paris, 1922 – C. Chauncey Stillmann, 1925 – Cambridge, Fogg Art Museum, 1925 (Don C. Chauncey Stillmann). Wellesley College Art Museum, 1927 – Cambridge, Fogg Art Museum, 1929, n° 31 – Kansas City, Nelson Atkins Museum, 1934, n° ??? – Glen Falls, Crandal Library, 1942 – Toronto Art Gallery, 1944, n° 5 – New York, American British Art Center, 1944, Corot to Picasso, n° 5 (repr.) – New York, Wildenstein & Co., 1949, n° 22, repr. p. 24 – Los Angeles, County Museum, 1958, n° 23 – Saint Louis, City Art Museum, 1964 – Buffalo, Albright Knox Art Gallery, 1967, n° 28 – Boston, Museum of Fine Arts, 1974, n° 7 – Cambridge, Fogg Art Museum, 1977, n° ??? – Tokyo, Yamaguchi, 1990, n° 12, p. 55 (repr.) – Zurich, Tübingen, 1994-1995, n° 112, repr. p. 343 – Tokyo, Kagawa, Nagoya, Oita, Ibaraki, 1999-2000, The Maurice Wertheim Collection, n°??? 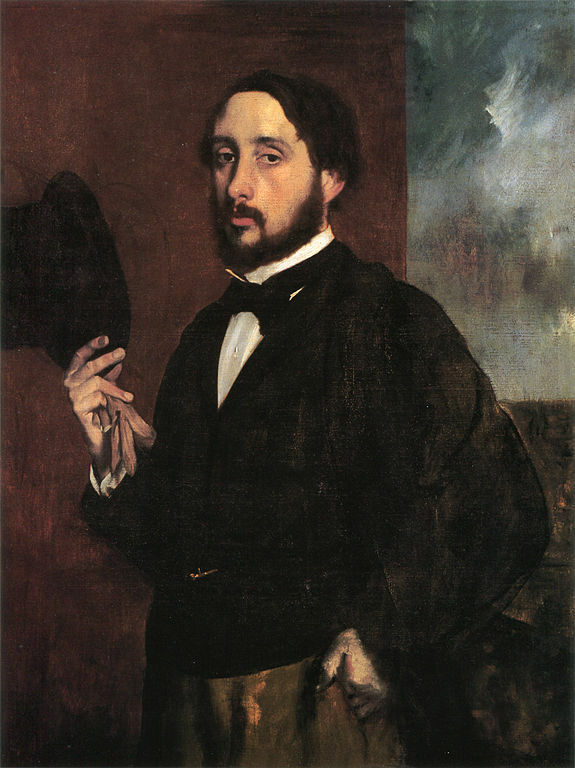 – Cambridge, Fogg Art Museum, 2005, Degas at Harvard, fig. 18, repr. p. 38. Fogg Art Museum Handbook, Cambridge, 1927, repr. p. 53 – Fogg Art Museum Handbook, Cambridge, 1931, repr. p. 68 – Lemoisne, 1946-1949, II, n° 303, repr. p. 153 – Lassaigne, Minervino, 1974, n° 276, repr. p. 98 - Jones, Cambridge, 1985, p. 50, fig. 40 (repr.) – Sutton, 1986, p. 131, fig. 101 (repr.) – Bowron, 1990, n° 324, p. 104, repr. p. 238 – Loyrette, 1991, p. 271, 290 - Bronstein, 1997, fig. 44 – Reed, 2005, vol. 107, n° 6, p. 45-46, 42-43 (repr.) - Cohn, Boggs, Degas at Harvard, 2005, fig. 18, repr. p. 38.